Sony smartphones haven’t been hogging much media attention lately, but that doesn’t mean they don’t have a midrange contender. 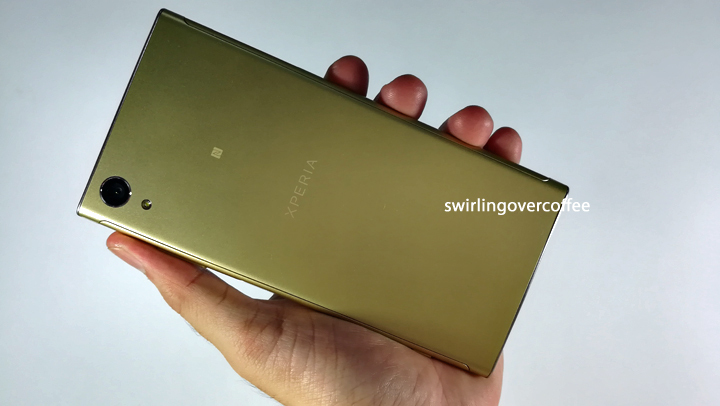 We take a look at the Sony Xperia XA1 Plus, which sells for P16990 over at Widget City. Let’s do this. Premium build. The Xperia XA1 Plus has the most premium build among available midrangers in the P14k to P18K price range (these include the OPPO F5, Huawei Nova 2i, Vivo V7+, which are all 18:9 display phones. The non-creaking and solid chassis make for a reassuring tactile feel: curved sides for easier handling, metal body with a reassuring heft, and your hand “knows” this is not a cheap phone. There’s also a slight texture to the metal rear so that it’s not as slippery as you’d think even when your hand is sweaty. 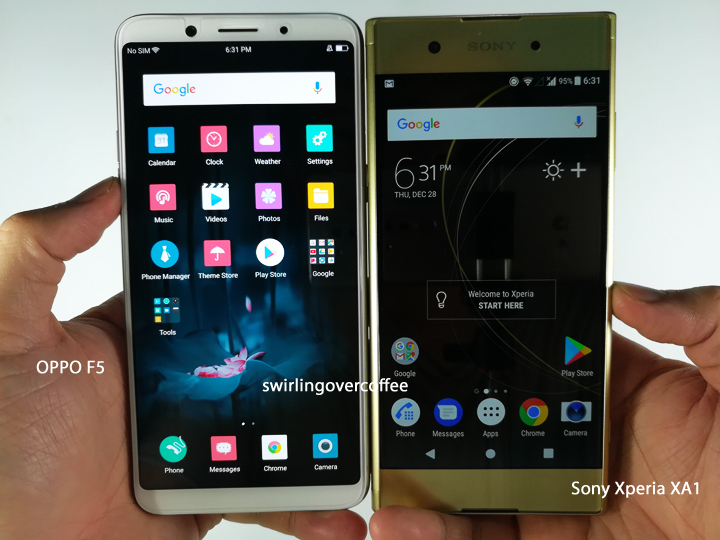 One of the popular 18:9 selfie phones, the OPPO F5 (left) and the Sony Xperia XA1 (right). 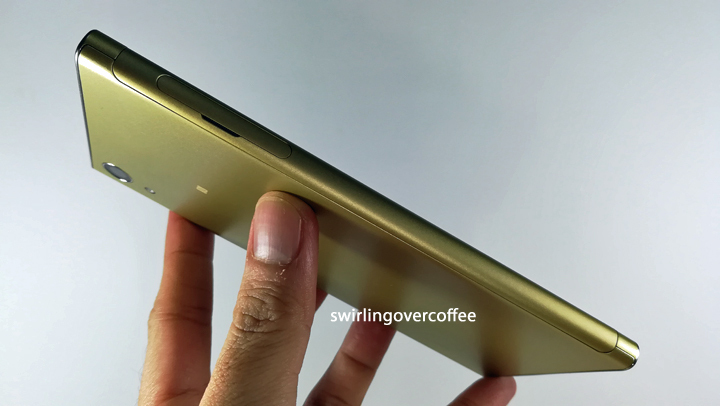 The F5 is slightly thinner, taller, and its “waistline” narrower. Noticeably large forehead and chin. There’s no getting around that. 2017 is the year of flagship and midrange 18:9 aspect ratio phones with barely-there bezels. Side by side with other 18:9 midrangers, the XA1 Plus looks like a phone with a dated-design but premium build. (Sony fans may feel right at home though.) There’s also no getting around the other fact: it’s unapologetically heavier than other midrangers. But that’s actually a good thing. No need for a SIM ejector tool. We were surprised to find no such tool in the box. 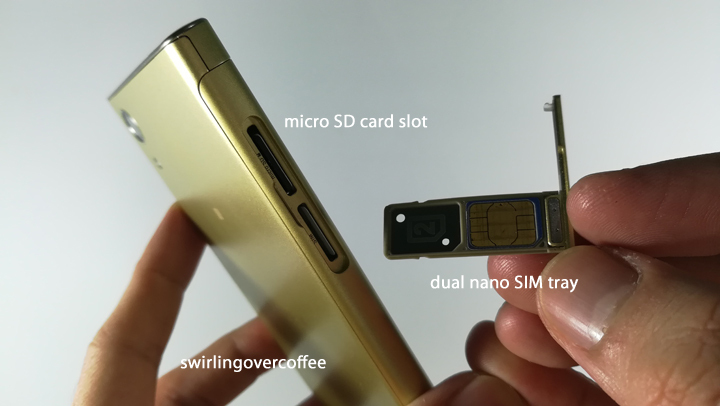 Closer inspection revealed a side tray with room for 2 nano SIMs and 1 micro SD card, which you can pop open with your thumb’s nail. Awesome touch right there. 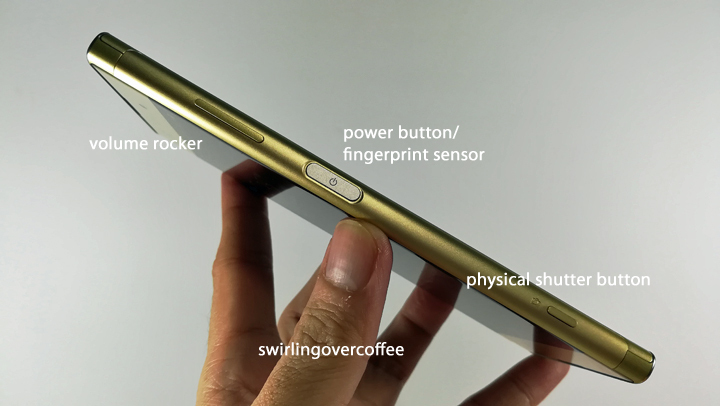 Side-mounted fingerprint sensor that doubles as power button. Most phones go with either rear or front-facing fingerprint sensors. 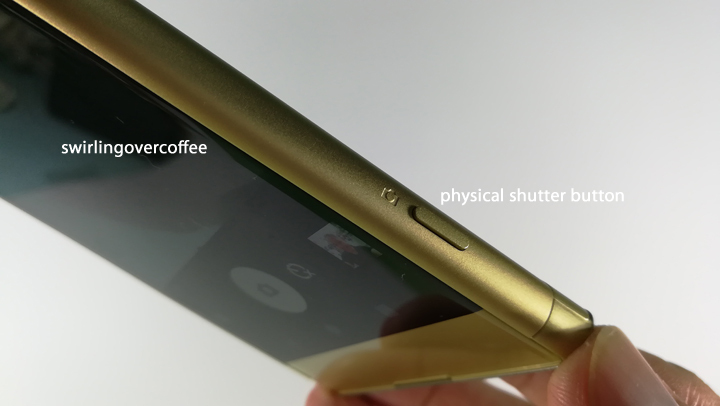 So the XA1 Plus’s side-mounted fingerprint sensor is a feature-standout. You can probably enroll your index finger so you can unlock the phone while it’s flat on the table. We’ll get back to you on this. Type C port. The F5, V7+, and Nova 2i have no Type C ports, but the P10k Cherry Mobile Flare S6, the cheapest 18:9 smartphone (as of this post) does. Yeah, weird. The XA1 Plus, as an “upper midrange” priced phone, has a Type C port. Dedicated camera shutter key. This is a feature we’d like to see on mainstream smartphones. I remember previous Sony phones having one. This may make taking pics easier, especially selfies, as the selfie cam is has both autofocus and a wide angle sensor. We’ll see. No dual cameras on the front or back. 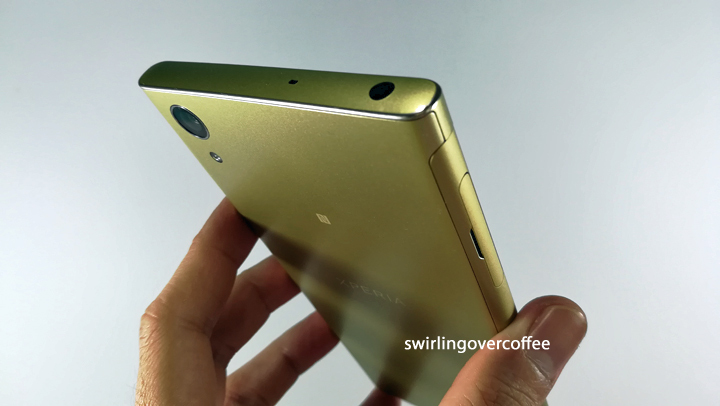 When even a P10k smartphone with an 18:9 display has dual cameras on the front and back, you get to wonder if Sony’s sticking to one camera per side is a good deal. We’ll see if the XA1 Plus’s cameras are good in the full review. 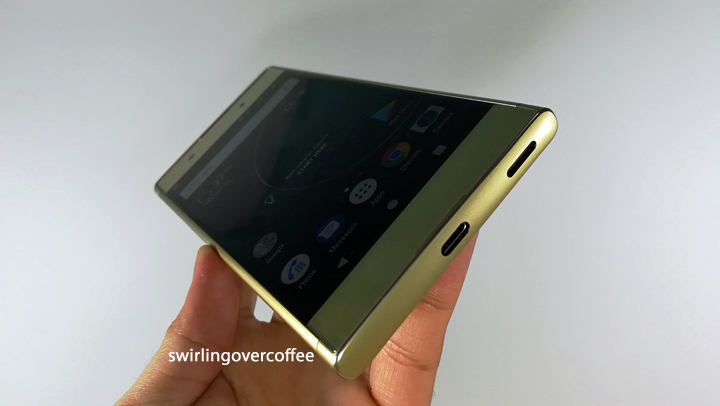 No free protective case or screen protector, two items people have come to expect from midrange phones, especially with a steeply priced midranger like this one. 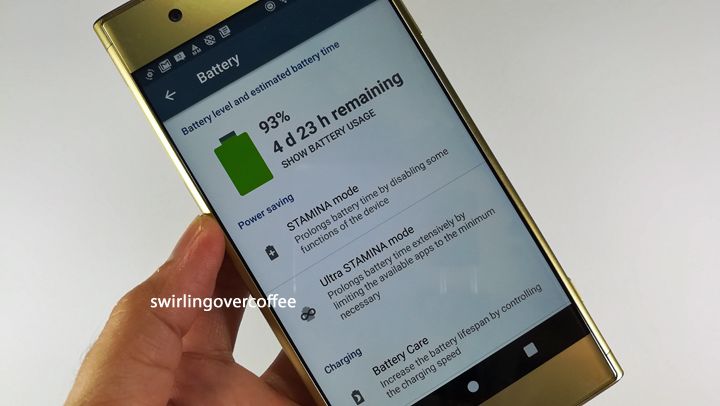 Promising battery life. 3430 mAh battery is not a small thing. And we’re betting the XA1 Plus may be a good power bank phone in its own right, maybe somewhat like the ZenFone 4 Max, but with better specs, build, handling, and cameras. 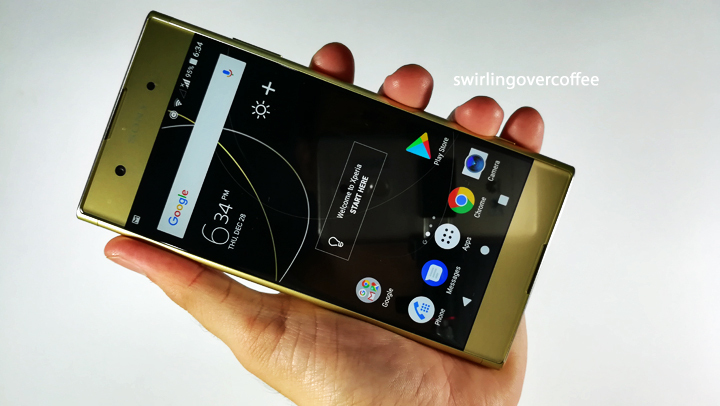 We’ll be back with the full review of the Sony Xperia XA1 Plus, which sells for P16990 over at Widget City.